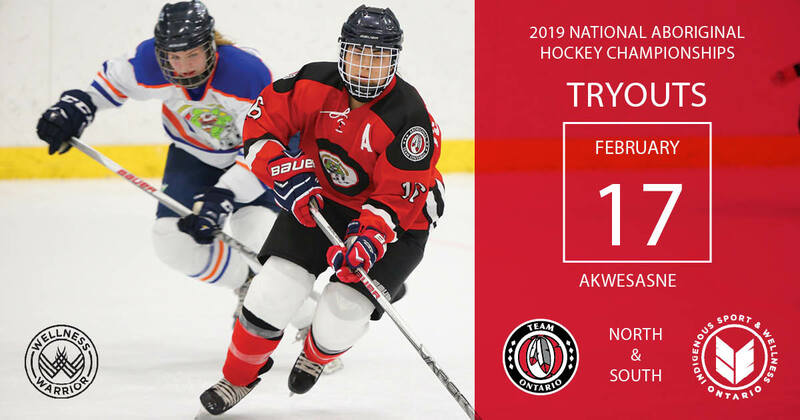 Tryouts for Team Ontario will continue on Sunday, February 17, 2019, at the A`nowara`ko:wa Arena in Akwesasne, ON. These tryouts are for male and female hockey players born between 2001-2004 who wish to represent Team Ontario at the National Aboriginal Hockey Championships taking place in May 2019.
or Wesley Marsden, Team Ontario Coordinator at Wesley.Marsden@iswo.ca. The Aboriginal Sport Circle (ASC) established the National Aboriginal Hockey Championships (NAHC) in 2002 to serve as the premiere competition for young Aboriginal hockey players in Canada. It provides a forum for elite Bantam/Midget aged Aboriginal male and female youth and attracts participation from First Nations, Inuit, and Metis across thirteen provinces and territories. This annual event helps foster cultural unity and pride to celebrate the athletic abilities of Aboriginal athletes from across the country. All competitors in the NAHC must be of Aboriginal ancestry, those who do not own an Indian Status Card, an Inuit Identification Card, or a Provincial Métis Card – must complete the Declaration and Ancestral Chart that will provide a detailed and verifiable account of your ancestry. Click here for the Declaration and Ancestral Chart. 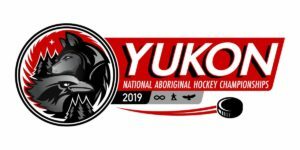 The 2019 NAHC will be held May 6-14, 2019 at the Canada Games Centre and Takhini Arena in Whitehorse, Yukon.